A building’s greatest enemy is water, it can get in through the smallest of cracks and cause a tremendous amount of damage. 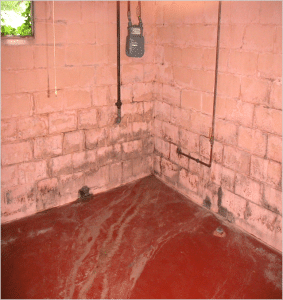 All to often the professionals you employ to find the cause of the water intrusion misdiagnose the source, or the culprit causing the water to penetrate the buildings envelope. Is it the roof, damp ceilings or walls, water in the heating duct work, basement walls, crawl space flooding, porous brick, there are so many places water can affect your property and they all need a different approach when it comes to repairing the problem. the foundation begins to show signs of failure. The greatest problem is not the water itself but what it can do to your building and its occupants. 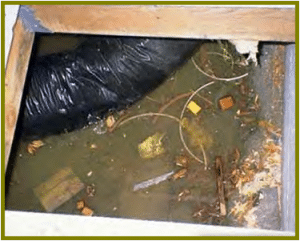 Water can cause mold and wood rot if left untreated, don’t waste time, call us and our professional will determine the cause and give you directions on remedying the situation. Call us, we are ready to help.